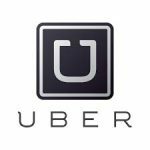 To stay competitive in the ridesharing market, both Uber and Lyft are offering great bonuses when new drivers sign up to drive. The bonus amount varies depending on locations. They are generally higher for greater metropolitan areas. To receive the bonus, new drivers must pass background check, driving record check, and vehicle inspection, then they must complete the required number of rides within a set time period (usually 30 days). In general, the higher the bonus, the greater number of rides required. For example, new drivers in San Francisco received $1,000 bonus after completing 100 rides. In comparison, the sign-up bonus for El Paso, TX is $200, but only 20 rides are required. Secondly, the bonuses are usually limited time offers, so the amount can change from time to time. Since Uber and Lyft reserve the right to change the offers at any time, there is no way to predict when the offer may end or what the next offer may be. For instance, the bonus for San Francisco went from $350 in January 2016, to $750 in March, then to $1200 through September. Now it’s down to $700. As a word of advice, if you have been thinking about driving, it’s best to sign up now while the offer lasts. Below is an overview of current offers. We make our best effort to update this page periodically. For most updated offer information, please contact Uber or Lyft directly. Uber does not formally publish their sign-up bonuses. Below are current offers based on feedback from our readers and partners. To find the offers in your area, please contact support@uber.com. Lyft’s sign-up bonuses are published on their website. 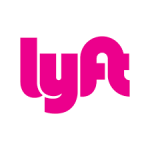 For updated offers, please visit www.lyft.com. Although with a few exceptions, Lyft’s bonuses are not as big as Uber’s, it’s still great to use them, especially if you are already driving with Uber or other platforms. *Bonus amounts and ride requirements may vary in this region depending on the code used to start a driver application. Please contact Lyft for details about your application. **Rides required must occur within a 60 day period.